From the first moment you arrive at a Marine Corps Recruit Depot, you are neck deep in the ceremonialized terror that is the way of life within the United States Marine Corps. When recruits’ feet hit the ground, before even they leave the bus, they are psychologically shaken and immediately introduced to what will become their routine and what their expectations will be. While I’d like to discuss what this would be like, words fail to communicate what a proper demonstration would make clearer. Below is a video showing exactly what it is like for every recruit before they even get off the bus at the Recruit Depot. After you’ve seen it, there are some points I’d like you to take away from the experience, and maybe to review the video once you know what you’re seeing. Everything the drill instructor does has a purpose; everything. Every word the drill instructor is saying is memorized. Notice the precision of language, the directness of orders and instructions, and the brevity of communicating complex instructions. At first glance you would probably view the video either as one of the recruits, frightening overwhelmed, or you may view it as a comical charade. It may seem funny to you, it may seem terrible to you, but every word has been rehearsed to provide some crucial and instructional value in some way. The recruits are being yelled at before they ever set foot off the bus. This is a unique welcoming ritual, rare in even military circles. You can hear this if you begin listening immediately. It lets recruits know immediately who is command and wastes no time with allowing them to wander aimlessly and confused. They receive clear instruction directing their actions before even arriving. They have also all been read their rights and responsibilities as recruits, which they listened to silently, then in a speedy and organized manner, filed to a different area. Unless you have ever had the extreme misfortune of dealing with large numbers of teenage boys, you will not appreciate the magnitude of this accomplishment. This is a ceremony that has taken place every week for every new group of recruits for decades. Regardless of technology and the passage of time, it has remained the same throughout. It is very well rehearsed and very well engineered to be important enough to be fit into the first five minutes of Marine Corps boot camp. As I said before, everything a Drill Instructor does has purpose. 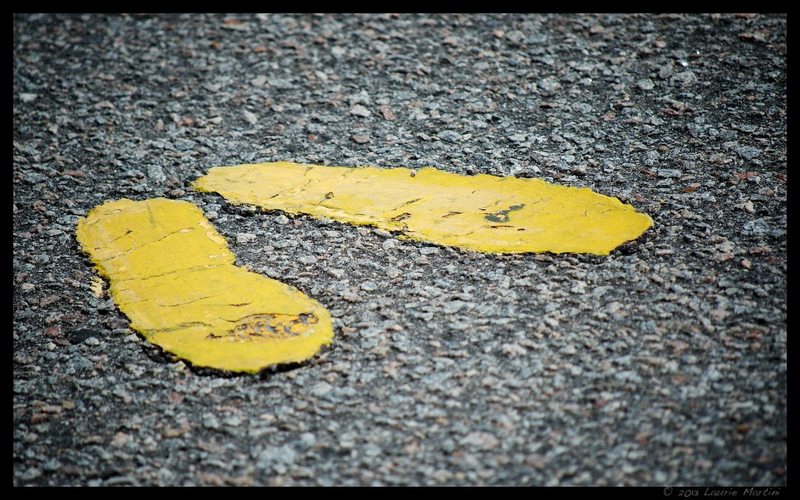 The Yellow Footprints, as they’re known by Marines, are more than just placeholders. They symbolize breaking into a new world much more than they serve to instruct recruits were to stand. Every Marine remembers that moment, those first 5 minutes at the depot and for good reason. They are their own rite of passage and a binding element to Marines across generations, knowing how similar the experience is for so many. It would be good at this point to review the video and realize the power the first 5 minutes have with which to open the eyes of a youth about to enter training. It’s an experience which instantaneously sets the pace for training for what’s to come and makes it clear that no nonsense will be accepted. What’s more? There are three more months of this, and, as I will describe later, it gets much worse. 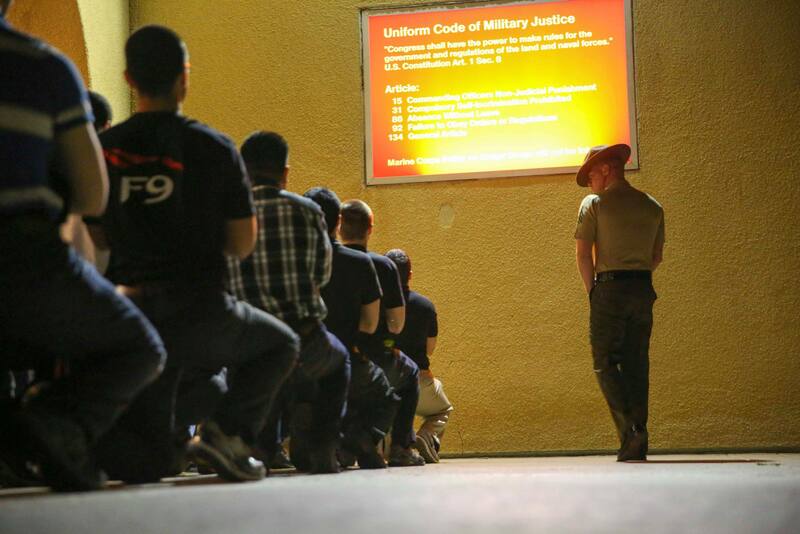 Continue on to: We Swear You Aren’t Being Brainwashed – Welcome to Marine Corps Receiving or Read the full story. Make sure to share and follow JDT. Also please consider following the link below to visit my support page.